Google Pixel XL has been officially launched with cool specifications. It's the bigger version to the Pixel smartphone. Google Pixel and Pixel XL share almost the same specifications. But still, there are differences between both devices. 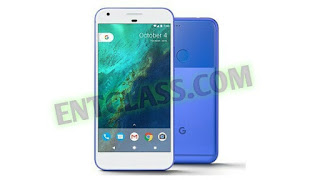 Google Pixel XL is a 5.5inche phone with 1440 x 2560 pixels (534 PPI) AMOLED display, Gorilla Glass 4, feature a Fingerprint scanner, 12 MP rear camera with dual LED flash, 8 MP front with soft flash. 4GB RAM + 128GB Internal memory. Have a look at the Google Pixel XL full specifications below.